If you are looking for a business than can be highly profitable, rewarding to operate and fun as well, then you've found it – miniature golf courses and family fun centers. The mini golf industry promises success and opportunity as it is easy to start up your own course and acquire a safe, long-term investment. The mini golf business provides you with low costs and high returns, and a mini golf course quickly pays itself off in just a few years. Family entertainment has always been a popular industry that continues to grow and evolve in exciting ways. Providing a venue for family and friends to gather and enjoy themselves has always proven beneficial and profitable. Even in slow economies, families seek activity and fun, often closer to home. To ensure profitability in the mini golf industry, your course and facility needs to be carefully planned and constructed. Taking advantage of Castle Golf's experience in the industry is a very good way to begin. 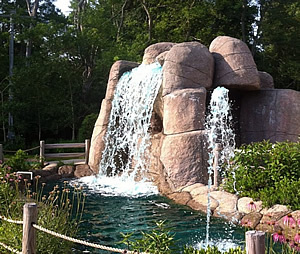 For four decades, we’ve been planning and executing mini golf course projects in numerous countries around the world. We can help you take your mini golf business to new heights with a friendly staff, years of industry knowledge, and endless creative possibilities. Not only do we want your course to succeed, but we want to see you succeed. Contact us today –we can help you build a professional mini golf course that suits your needs and budget. I went into this project with little experience in construction, let alone a mini-golf course. The experience of working with Castle Golf has exceeded all of my expectations. Not only did Castle Golf do what they said they would do, they gave me guidance and help every step of the way. Since I am having so much fun running our first completed course, I'm planning a second. Because of the fantastic job Castle Golf did on my first course, there is not question that I will once again be working with Castle Golf.